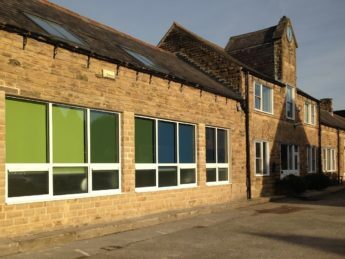 The Oasis Centre, home of the Oasis School of Human Relations for over 20 years, is located in the beautiful Georgian village of Boston Spa, West Yorkshire. 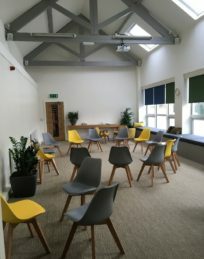 Our wonderful space in a converted stable block provides a comfortable environment in quiet surroundings, conducive to development and learning, for programmes, development sessions and one-to-one meetings. The centre is available to hire. 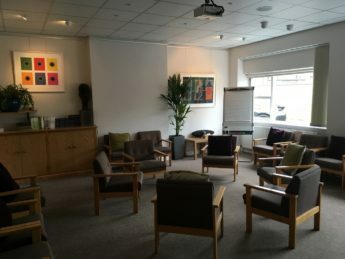 Whether it’s for a team away-day, private one-to-one meeting, small group gathering or something a little larger, the Oasis Centre offers a relaxed – and flexible – place to meet. Download a guide to hiring the centre. We hope this section helps answer any questions you have regarding visiting Oasis. Of course, please feel free to call us with anything else on 01937 541700. Boston Spa is just off the A1, within easy driving distance of York, Harrogate and Leeds. It is a short distance from York, Leeds or Harrogate railway stations, and from Leeds-Bradford Airport. The centre is where most of our programmes are held, and is also used for meetings and one-to-one sessions. When you visit for the first time you will be greeted by one of the centre staff, who will show you round and answer any questions. On subsequent visits we ask that you make yourself at home and help yourself to our wide selection of FairTrade teas, coffee, fruit and biscuits. Flipcharts and audio-visual equipment are available – just ask in the office for details. Lunch is provided on some programmes, see specific programme information. Otherwise the shops and cafes of the High Street, Boston Spa are a short walk away. You can read our terms and conditions for using this website, organisational contracts, programmes bookings and cancellations, and room hire here.